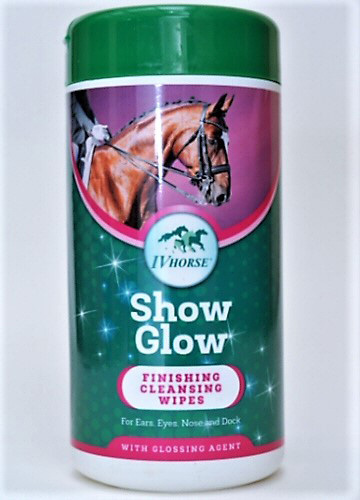 Show Glow Finishing Cleansing Wipes from IV Horse are easy to use individual cleansing wipes ideal for use around the ears, eyes, nose and dock where cross contamination is to be avoided. Gentle action with added glossing agent. Ideal for that last minute clean up.